The 2018 FIFA world cup is set to kick off on June 14, 2018 and it will conclude on July 15, 2018. The opening match of the 21st FIFA world cup will be held in the Luzhniki Stadium, Moscow. It will be played between the host country, Russia, and Saudi Arabia. Youku, the flagship streaming service of Jack Ma's Alibaba Group, has acquired the exclusive online rights in China to the 2018 soccer World Cup. The deal is a partnership with state broadcaster CCTV, the terrestrial television home of World Cup soccer in China. Under the terms of the agreement, Youku will live-stream 64 World Cup matches, along with off-game highlights and coverage. The only problem is that Youku's channel is only available in China. In other words, if you do not have a Chinese IP address, you will not be able to watch Youku's videos. 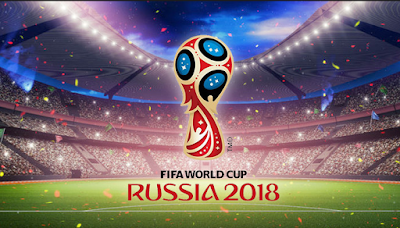 How to watch FIFA World Cup 2018 on Youku? To bypass Youku's restriction, you must change your IP address and appear as a Chinese user. VPN is an easy-to-use application that provides new IP addresses, depending on the location of the server. When using this type of application, you have a list of available servers. If you connect to a VPN server in China, you will get a Chinese IP address. As a result, you can unlock Youku and watch FIFA World Cup 2018 on Youku. Download and install FlyVPN on your devices according to the VPN tutorials. Connect to a VPN server in China. Access the Youku site or download the Youku app, and watch FIFA World Cup 2018 on Youku form anywhere. With FlyVPN, you'll be able to access Youku's videos from any country and you'll be permanently protected with encryption.